I've seen loads of bloggers doing posts on what they got for Christmas, so I thought I'd do one too! I've loved reading everyone's and having a good nosey, and I think it's safe to say we're all incredibly lucky! I had a really lovely Christmas with my family, and was very spoilt and am so so grateful for everything I got, I love everything I've been given. I won't bore you with absolutely everything I received, so I'm just going to show you my favourite gifts! I got lots of chocolate, clothing, beauty products, perfume, blu-rays, bits and bobs etc. 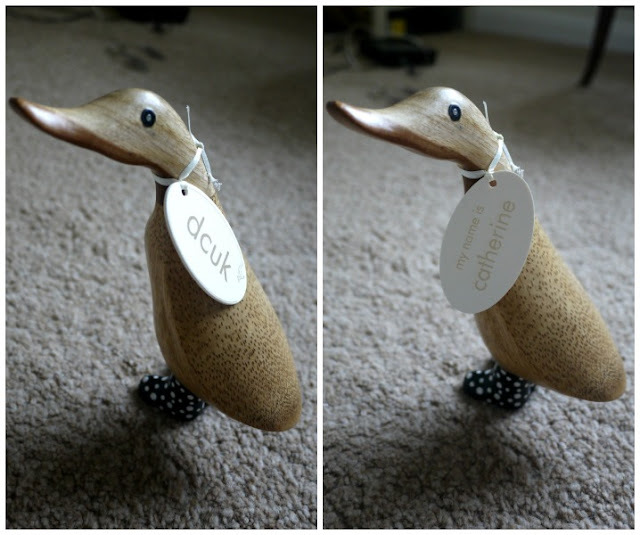 I also got a load of new books, a super cute DCUK duck, a cushion from the Olympic auction, and my beloved new laptop! Books! I hate kindle's etc and refuse to have one, so my family still have to buy me 'proper' books. I am completely in love with the Beaton in Vogue book that I asked for, and I love love love Miranda! The little orange '21' book is full of quotes, and was given to me by my aunty, she obviously knows me far too well as I'm a liiitle bit addicted to quotes and have them stuck all over my walls! The thin book at the bottom is a book filled with WW1 poems and photographs - my mum gave me this and again, she clearly knows me very well, as it combines three of my favourite things; war time history, poetry, and photography. These were our 'fun/joke' presents for the year. My Dad bid in the Olympics auction for these, and got one for each of us. They're cushions that were used in the Olympic and Paralympic games - who knows, it might have been Jessica Ennis' cushion! Haha! Seriously though, how cool is it! My favourite present of all was my beautiful shiny new notebook! It's an Asus touchscreen notebook with Windows 8. The touchscreen is amazing and it's just so light and pretty. I've actually fallen in love with Windows 8, so I'm going to do a review post and tutorial on it soon as I know a lot of people are struggling to use it or want to know how to use it before they commit to buying it. I also received an email last week from Operation Christmas Child letting me know where my box of presents went to! It went to a young girl in Kyrgyzstan, which is a country in central Asia that is affected by severe weather conditions. What did you get? Do you have a post for me to have a nosey at? Love these posts! I too am a book lover, but I gave in last year and asked for a kindle but only because they're so much easier to carry around, books are a little bit cheaper and it's easier to read in bed. I do still occasionally ask for "special" books as actual books though! Lovely gifts you received there :) I have to admit to asking for, and receiving a kindle for Christmas. I put off having one for many years as I just love books. Rummaging in a bookshop is one of my favourite things EVER, just the smell and feel of books *sign* but I have run out of bookshelves in our current house and as I am terrible at remembering to return library books on time, a kindle won out lol.